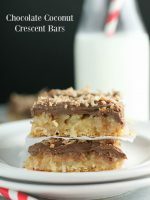 Peanut Butter Desserts are one of my favorites.. really anything with peanut butter!! I have a total sweet tooth.. I almost have to have dessert every night after dinner. I really love anything but something with chocolate and peanut are usually my go to. It kind of works out though because my husband loves peanut butter desserts too which is a plus! These are my top favorite peanut butter dessert recipes that are so tasty and look AMAZING!!! Try them all out! Which one looks the best to you? 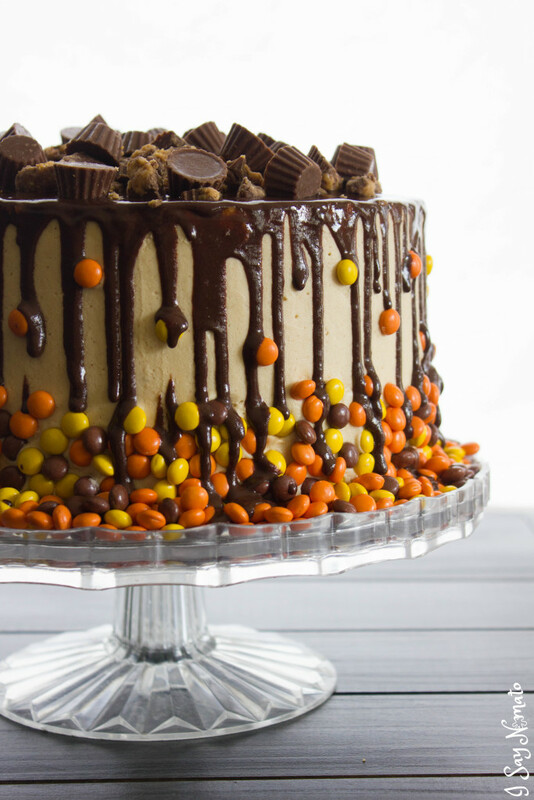 Chocolate Peanut Butter Drip Cake – A fabulous cake that makes my mouth water! White Chocolate Peanut Butter Cookie Cups – These are the perfect mini desserts. 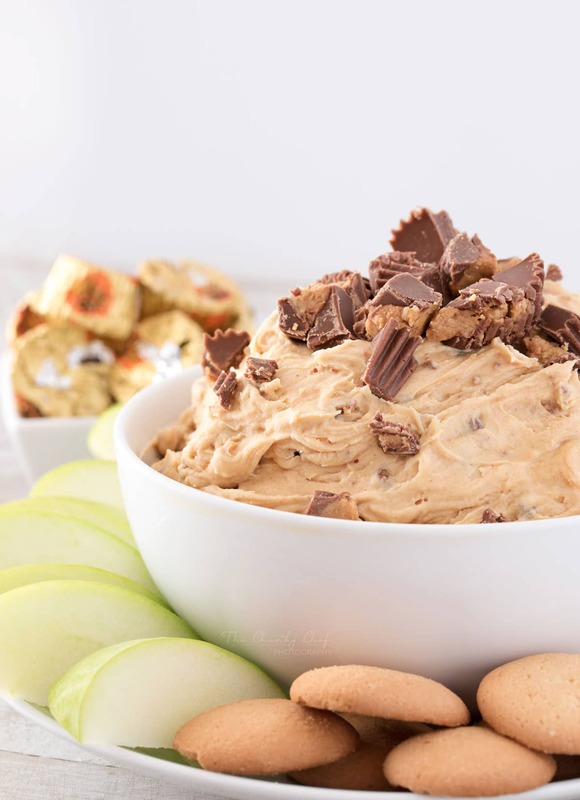 Peanut Butter Cheesecake Dip – This dip is always a crowd favorite! 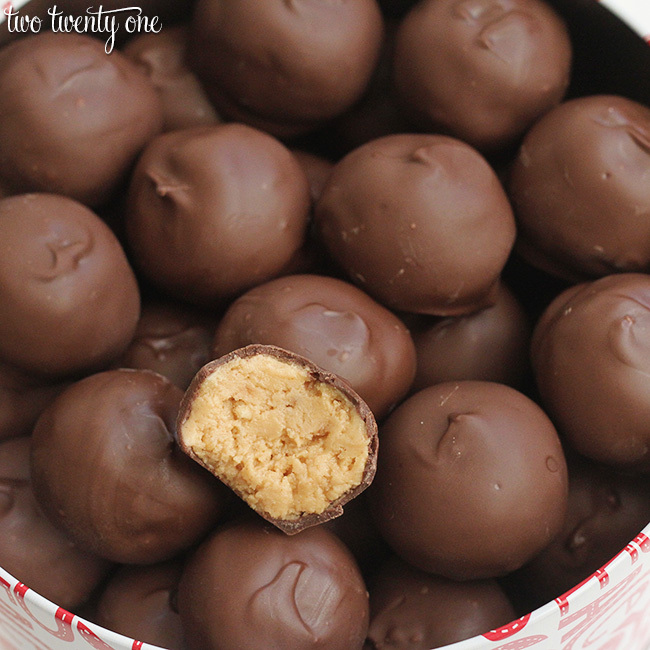 Peanut Butter Balls – These are one of my favorites!! They totally remind me of those delicious chocolate with peanut butter christmas trees! 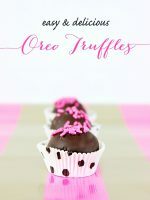 Those are always around my house during holiday but this recipe lets me have them all year round! Peanut Butter Cup Cookies – All growing up these have always been my brother favorite cookies. I remember always having to help my mom unwrap the reese cups, now my kids love doing that job. These are the best! 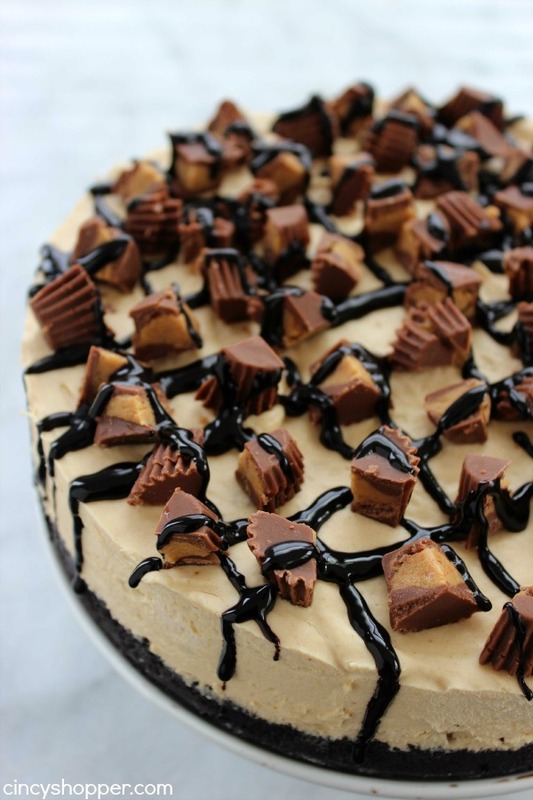 No Bake Reese Peanut Butter Cheesecake – Doesn’t this cheesecake just look amazing? 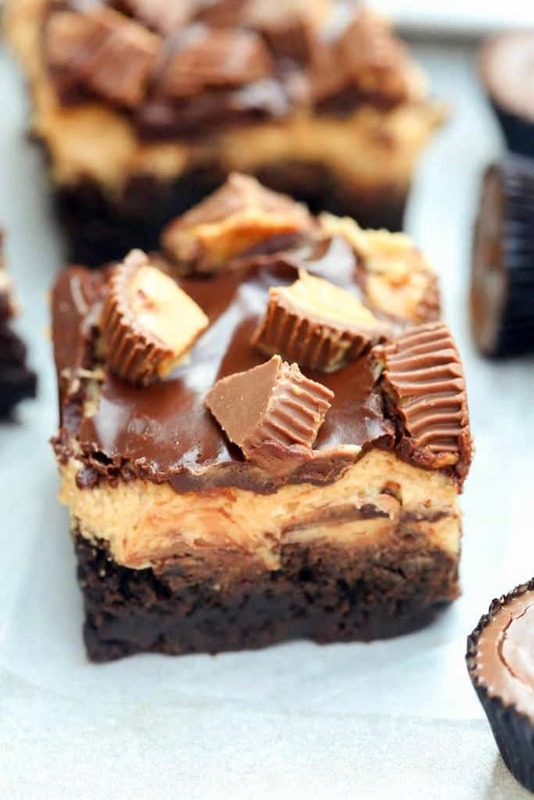 Reese Peanut Butter Brownies – This treat is a Peanut Butter heaven! My two favorite brownies and peanut butter! Peanut Butter Pie – The oreo crust on this pie makes it 100 times better! It is a great dessert to bring to a gathering. Chocolate Peanut Butter Banana Ice Cream – This creamy dessert is great. My kids love this on a hot summer day! 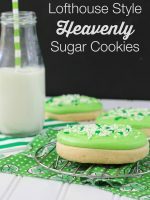 The kids not only like eatting it they always love helping me make this delicious treat. Reese’s Cupcakes – The ultimate peanut butter chocolate cupcake!